Formula 1 cars seem to be approaching engineering perfection, but according to Renault, there's plenty of room for improvement, as the company has shown with the R.S. 2027 Vision Concept. 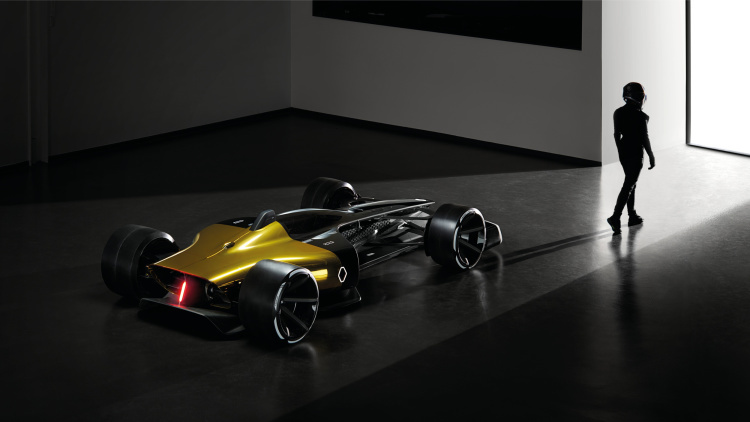 This prototype is the French automaker's prediction of what the fastest racing series in the world will look like in 10 years. The R.S. 2027 Vision Concept is an aggregation of seemingly every direction F1 seems to be headed in. It's driven by a hybrid powertrain that produces over 1,300 horsepower while weighing only 1,300 pounds—reaching that perfect 1:1 power-to-weight ratio. It has next-generation safety equipment, including a transparent driver's canopy that covers the cockpit while offering optimal track vision. The car is even connected to the audience in a way that we've never seen, broadcasting its telemetry on the internet for fans to see. The long and short of it is this: the R.S. 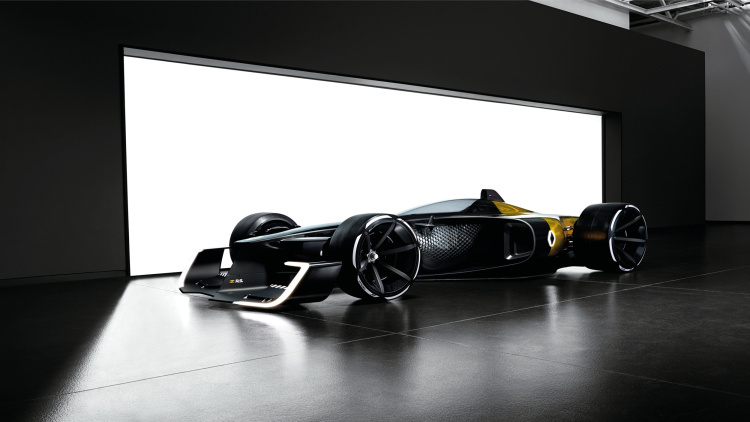 2027 Vision Concept improves on everything F1 is already doing while focusing more on both performance and crowd engagement. It's substantially different than cars of today. It favors cost-efficiency by ditching expensive hydraulic suspension and instituting an active system that recycles energy back into the KERS (Kinetic Energy Recovery System). Thanks to that, teams can use single suppliers for many of their parts while also making their cars more efficient and, get this, faster. With the help of hybrid technology, the R.S. 2027 Vision is driven by all four wheels with a turbo V6 powering the rear and two electric motors propelling the front -- four wheel steering also makes its debut here. Some autonomous features aid the drivers during caution laps and pit trips as well. Not only will the machines be more advanced, so will the series as a whole. Renault believes that Formula 1 should take an approach similar to Formula E for crowd-involvement, allowing fans to give drivers "boosts" for popularity, giving them special power ups for the race. This is a new-age twist on the traditional run-what-you-brung concept, but it adds a unique element to the ever-evolving F1 experience. Races would be split in half, making for one longer stint and one shorter one, expanding the event for fan interaction. It'll be interesting to see how F1 and fellow racing teams will respond to the R.S. 2027 Vision Concept as it demands a reaction. 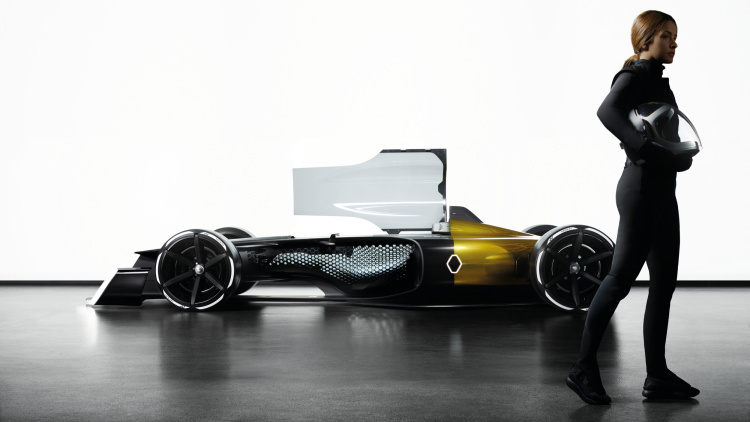 It's a bold statement that stands for the near future, and with Renault remaining a front-runner in innovation, it could set the pace for other manufacturers in the next ten years.